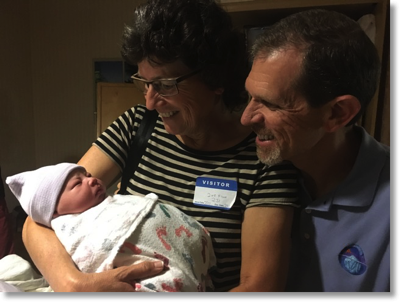 The NosillaCastaways take over the show this week since Steve and I were off meeting our new grandchild, Forbes. We’ve got Pat Dengler telling us about health gadgets: Ease Wireless Blood Pressure Monitor made by iHealth, AliveCor Cardia Mobile ECG for Apple and Android devices, and the iHealth Align Glucometer for Apple and Android. George from Tulsa tells us about his new Netgear EX 6200 AC1200 Range Extender and how it improved his network. Denise Crown talks about her new Netgear Nighthawk X8 AC5300 Smart WiFi Router. Allister Jenks of the Sitting Duck Podcast tells us about the Tucano Elements Second Skin for MacBook 12″. Darrell Shandrow Hillaker of the blindaccessjournal.com tells us about a really cool accessibility app called Bespecular from bespecular.com that lets a blind person take a photo of something and have sighted volunteers describe it to them. Hi this is Allison Sheridan of the NosillaCast Mac Podcast, hosted at Podfeet.com, a technology geek podcast with an EVER so slight Macintosh bias. Today is Sunday July 31, 2016 and this is show number 586. I promise not to blather on about the baby after this…unless there’s a tech angle of course. Lindsay was in labor for 17.5 hours, the last 3 or so of which was the act of pushing. 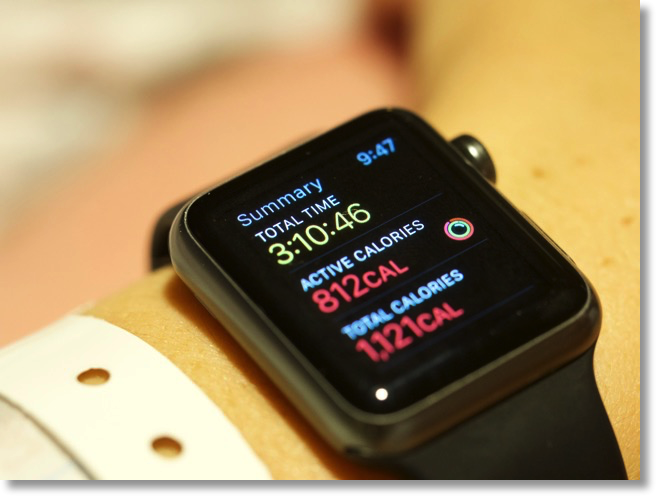 Before she started to push, she started a Workout on her Apple Watch (set to Other) and she recorded her calorie burn. Just for the record, it takes 812 calories to push out a 9 pound baby. Of course I’m thrilled that Forbes and Lindsay are happy and healthy; it’s an added bonus that my daughter came through as a true NosillaCastaway. This week I didn’t do a Chit Chat Across the Pond because of the baby, and last week on the NosillaCast I forgot to tell you who was on Chit Chat Across the Pond. It was actually Bart Busschots but not to talk about programming. In last week’s Chit Chat he told us about his quest to lose weight using technology and how he has lost 40 pounds so far. He walks through all of the phases he went through from thinking he could lose weight without counting any metrics, to an elongated bike ride home, to tracking calories and exercise like a maniac. It’s really inspirational and if you’ve been curious about how to get ‘er done I think you’ll really find his conversation inspiring. I haven’t mentioned it in a long time, but there’s a way that you would have known this week that there was no Chit Chat and who the guest was last week. We have a little newsletter called Podfeet Press. It’s not very chatty at all. It automatically sends out a letter when the new shows come out (both Chit Chat and NosillaCast) with all the links that are normally in the top part of the blog post. Other than that it’s silent unless something goes wrong, like this week when I didn’t do a Chit Chat Across the Pond. I really like to have that conduit to talk to you guys because sometimes I’ve made some goofy mess-up in posting the show, or there’s a delay or I need your help with something. If you’d like to sign up for the Podfeet Press, just go to podfeet.com/podfeetpress (or follow the link in the shownotes. I promise, it’s not spammy! Now after explaining how I didn’t have time to do a Chit Chat Across the Pond, you might be wondering how I made the time to do a NosillaCast. Well, I didn’t. A week ago I was talking to our good friend and NosillaCastaway Pat Dengler, and I told her that I was going to break the 11 year streak of never missing a show. She said that was unacceptable, and that the NosillaCastaways should just do it for me. She said she’d start by doing a review, and to ask for more help. I posted her idea on Facebook, Twitter and Google Plus and the NosillaCastaways came through like champs. We have reviews from Pat, George from Tulsa, Denise Crown, Allister Jenks and Darrell Shandrow Hillaker! I’m going to pipe in from time to time between reviews but sit back and enjoy the NosillaCastaways show. I’m really thrilled with the way the NosillaCastaways are inspiring each other to get healthier, while using technology to be more effective. Bastian and then Bart and now Pat are helping all of us learn. I especially like Pat’s reviews here because it’s easy to forget that heart disease is the leading cause of death in women. Pat gave me the prices on the devices she talked about and they’re surprisingly affordable. The iHealth Align Blood Glucose monitor for iOS and Android is only $16.95, strips for it are $12.50 for 60 and Lancets at $4.95 for 50. The iHealth Ease Wireless Blood Pressure Monitor for iOS is only $39.99. The Kardia ECG by AliveCor.com for iOS and Android was the most expensive at $99. My crazy athletic cousin Kyle was recently diagnosed with a bad heart valve, and he showed me a portable ECG much like the one Pat talked about and it was a great tool for him to use to monitor his heart while he awaited surgery to replace the valve. Happy to say he’s super healthy now and riding his bike up mountains and running long distance and swimming. As geeks we love metrics, and by measuring things we can affect the results in the future, so I couldn’t be happier to be learning about all of these high tech health gadgets. Hey thanks, George – I haven’t yet done the testing I keep meaning to do of the coverage of WiFi in my house since i got the Netgear Nighthawk X8 router. I want to first of all prove that the signal is better from the Nighthawk X8 than the Airport Extreme, but I’m pretty sure my dining room is still pretty bad. If I prove that, I’ll probably pick up the Netgear EX6200 range extender too. The good news is that on Amazon it’s only $80 so still a good deal even without the coupon! Thanks for a great review as always. And speaking of the Nighthawk X8, let’s hear from Denise Crown, aka Deverelle in the chat room. I’m really excited that Denise got the Nighthawk X8 because she and I have scheduled a play date to explore the more advanced settings together. There’s so much built into this router, I don’t want to have it sit there being as dumb as any other router. We’ll dig in and report back on what we break. I took a look at the Tucano Elements Second Skin and it really looks gorgeous. I’m really happy with my Incase sleeve but I’m not going to lie, the Second Skin is gorgeous. Bespecular is an iOS app blind people use to obtain remote assistance from sighted volunteers around the world. A blind person takes a picture of something, or selects a photo from the phone’s camera roll. She records or types a request for assistance. The request is sent to a group of sighted volunteers. One or more volunteers answer the request. Bespecular could have many applications for blind people, including, but not limited to: accessing digital displays, clothing matching, color identification, describing one’s surroundings, identifying receipts, reading paper mail, etc. I demonstrated the use of Bespecular to obtain a description of a picture of my baby daughter I had in my phone’s camera roll. After providing the description, Bespecular allowed me to save a copy of the photo, along with its description, back to the camera roll so that I will always know the photo’s contents moving forward. If you are a blind or low-vision person who could benefit from remote sighted assistance, or you would like to volunteer to help a blind person see just a little better, please visit bespecular.com for more information. Darrell Shandrow Hilliker is a blind stay-at-home father and technology accessibility consultant who advocates, blogs and podcasts on all things accessibility from Tempe, Arizona. Please visit his website at blindaccessjournal.com or follow him @darrell on Twitter. Darrell is the first blind person I met in the podcasting world and he has taught me so much over the many years. Really helped me get started understanding accessibility, and has become a good friend over the years.